This section is dedicated to bringing you the latest SSE news. The NEWS section features information on SSE Personnel, Projects, Publications and the SSE BLOG. 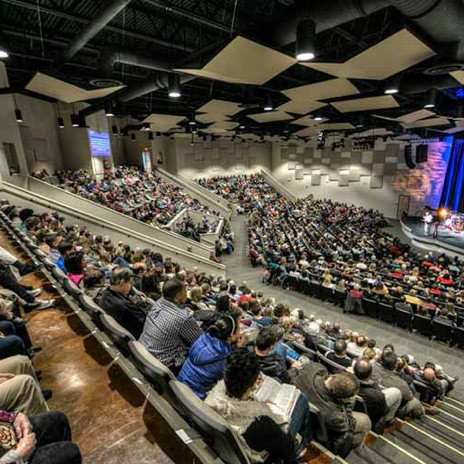 With active major projects in the Cinema, Worship and Educational Sectors throughout North America, we are working with many of the nation’s most well respected architects and contractors in each area of specialty to provide the innovative PREFOAM Stadium Seating Riser Systems for their current projects. We invite you to review the Publication and our Blog by clicking on the appropriate tab in this section. Stadium Seating Enterprises continues to dominate the EPS stadium seating market and grow throughout North America. We have now added international clients such as VUE Cinemas and The Light Group to our list of satisfied customers and continue to gain notoriety in that market. Below are some key projects completed for some of our largest Cinema operators in the world. We are proud to call most of these clients repeat customers and look forward to gaining new ones as well. SSE has been awarded the contract to provide the PREFOAM Stadium Seating Riser System for the stadium seating for the new “ground-up” ArcLight Lincoln Park in Chicago, IL. ArcLight said the theater will serve as an integral component of the New City project which will feature more than 600,000 square-feet of shopping, dining, and residential development. The 14-screen theatre in Chicago will feature ArcLight’s signature amenities, reserved seating, a commercial-free environment and extra-wide stadium seating. The theater also will include a full bar and guests 21 years and over can enjoy wine, beer and cocktails in the designated 21+ lounge and during select screenings. According to Business Wire…For more than 10 years, ArcLight Cinemas has redefined the movie-going experience for California residents, by presenting films the way filmmakers intended them to be seen. 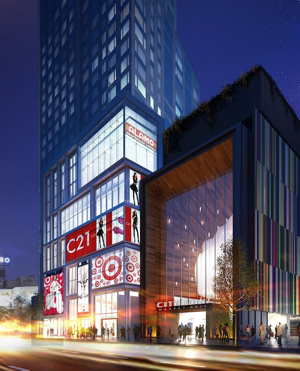 The new seven screen Alamo Drafthouse in Brooklyn, NY will be located at City Point, a new 1.8 million square foot mixed-use project that is being developed by Acadia Realty Trust and Washington Square Partners. This is the sixth Alamo Drafthouse project to use SSE’s PREFOAM Stadium Seating Riser System for ease of installation. 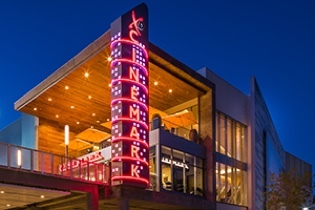 The new Cinemark Playa Vista is a state of the art nine screen cinema with luxury reserved seating on the upper level with a private bar and lounge area. This is the thirty second project SSE has done for Cinemark throughout the nation. SSE is currently doing five additional Cinemark/Century projects in California. 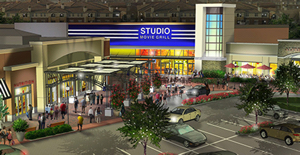 The new Studio Movie Grill in Simi Valley, CA is a ten screen cinema complex with full food and beverage services. This is SSE’s eighth project for Studio Movie Grill with other locations currently underway in Lewisville and Plano, TX. 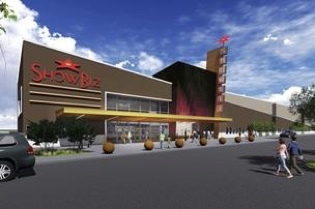 The new ground-up ShowBiz Cinema in Baytown, TX is a ten screen state of the art cinema and fourteen lanes of bowling. This is SSE’s second concurrent project with ShowBiz Cinemas. SSE is pleased to announce our seventh project for iPic Entertainment. This eight screen, 40,000 SF project is a luxury retrofit of an existing theatre. 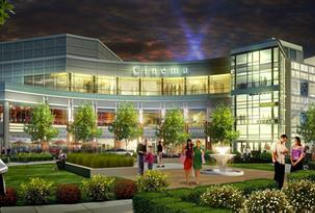 SSE has completed other projects for iPic Entertainment in Redmond, WA; Austin, TX; Fairview, TX; Scottsdale, AZ; Westwood, CA. According to the Miami Herald, “Beginning next year, movie-goers in North Miami Beach will be able to sip cocktails and order gourmet food as they watch a new release, wrapped in blankets in cushy, reclining leather chairs. 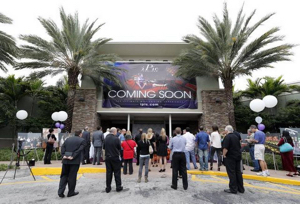 Boca Raton-based iPic Theaters said it has signed a lease with South Florida developer Dezer Development to build a new eight-screen, 40,000-square-foot luxury Movie Theater in North Miami Beach’s Intracoastal Mall.